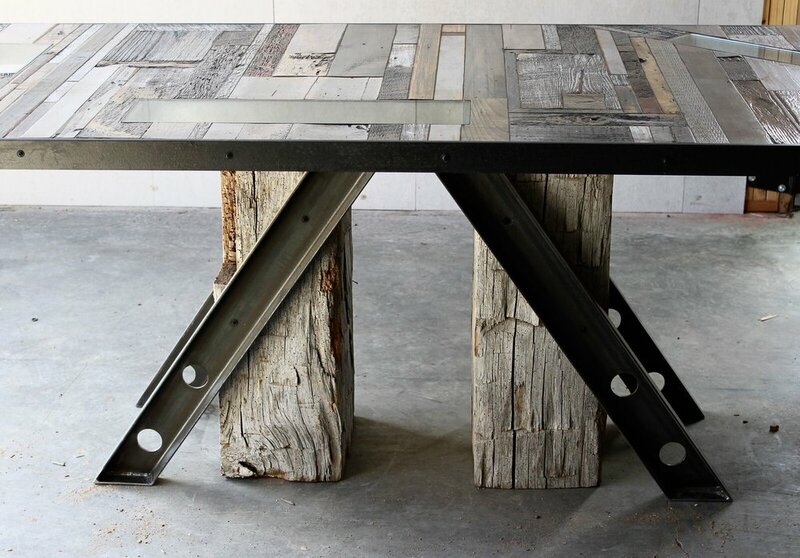 MONTAGNE combines steel and authentic reclaimed beams. available in a couple different configurations. Strong vertical lines of the warmer beams compliment the cold industrial vibe of the channel steel. This base has potential to be experimented with in multiple design concepts. Let us know you're interested in this base and we'll uncover a unique twist in it's style just for you.